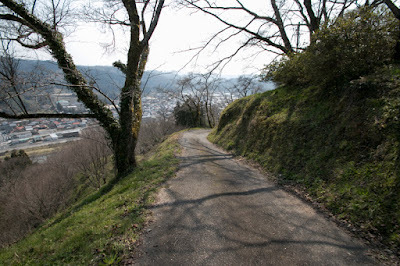 Mitoya castle (三刀屋城) is located at Shiroyama mountain, one of about 100 meter height from hillside at the opposite of Mitoya-gawa river from Mitoya town. 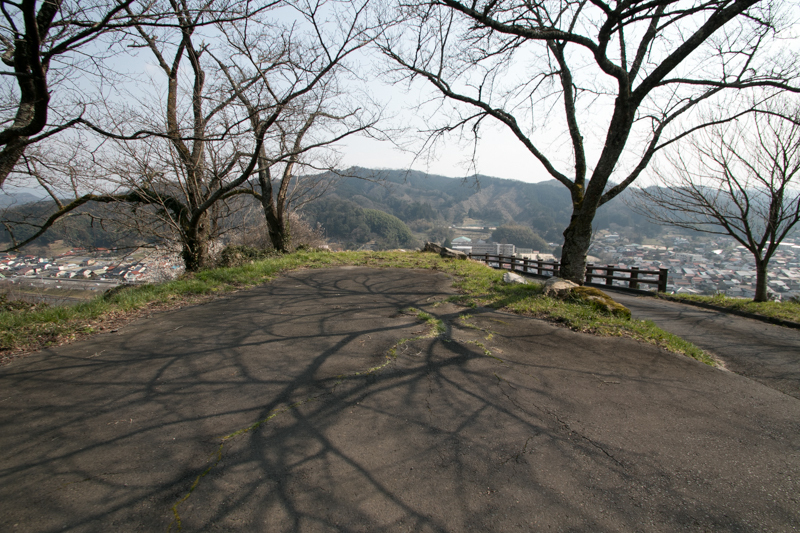 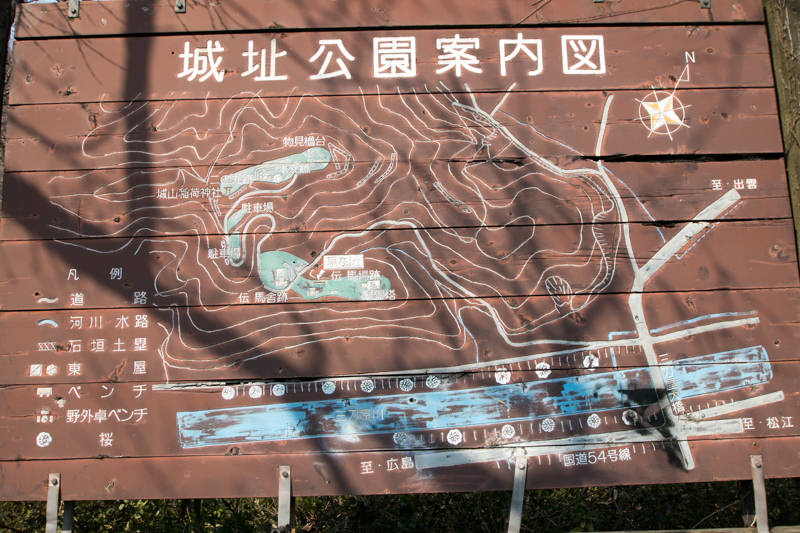 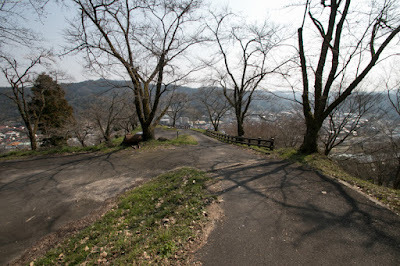 Shiroyama mountain is a long and narrow one stands at the merging point of Mitoya-gawa river and Kojo-gawa river, and being sandwiched by two rivers it is a suitable place to build a castle. 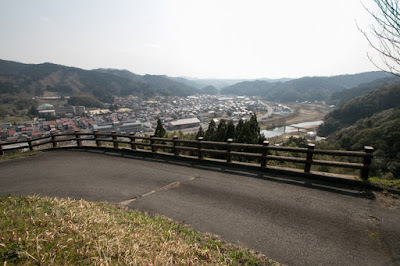 Mitoya-gawa river is a large tributary of Hii-kawa river, a large river flows at the center of Izumo province (eastern part of Shimane prefecture) from south to north. 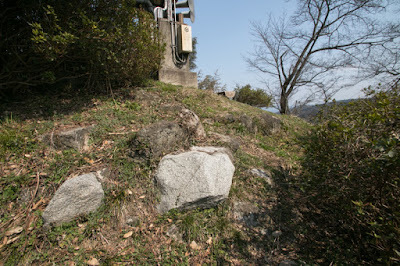 Two rivers have been used as a communication route from current Shimane prefecture to Hiroshima prefecture across Chugoku mountain, as current Route 54 and Route 314 today. Both river and route merges just at the next of Mitoya area. 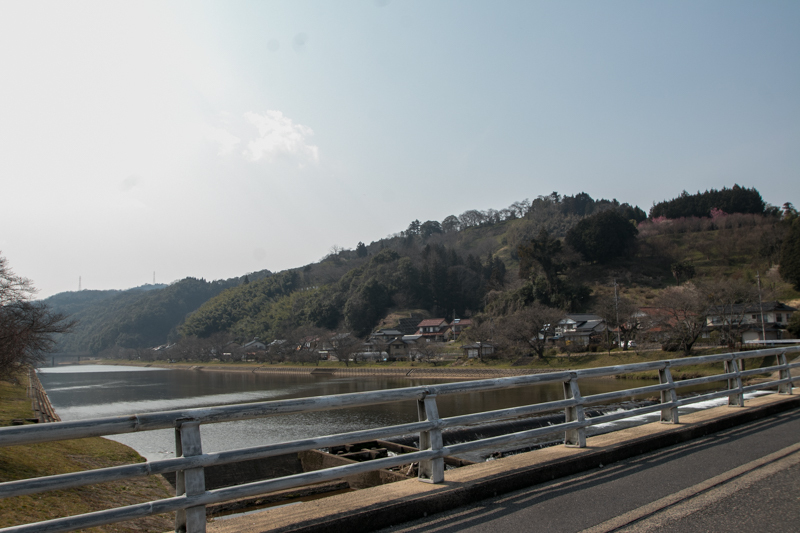 Furthermore, utilizing other tributaries of Hii-kawa river, mountainous road toward eastern part of the province such as Matsue area and Yasuki area, and toward western part such as current Izumo area. Furthermore, the mouth of Hii-kawa river formed Izumo plain, and was also connected to Matsue area by water transportation of Lake Shinji. 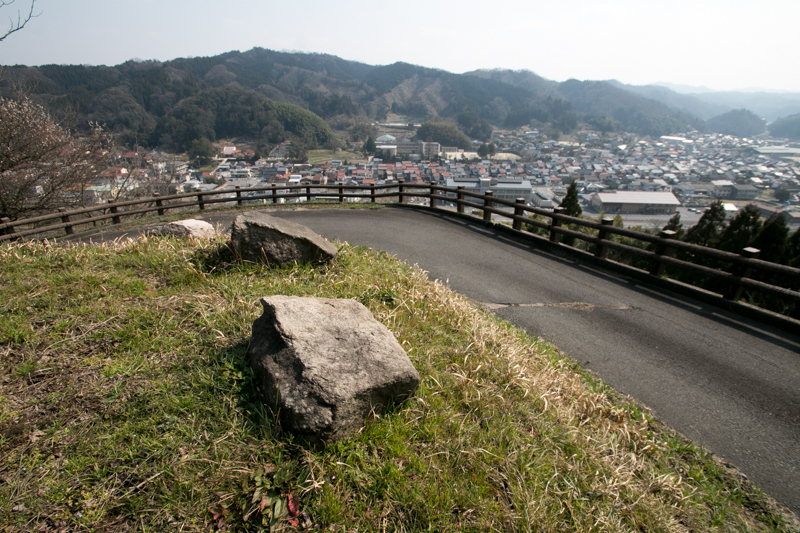 Because of these reasons, Mitoya area has been the center of Izumo province both of geographically and functionally. 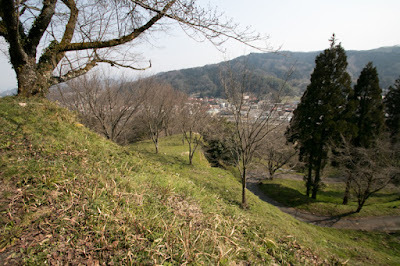 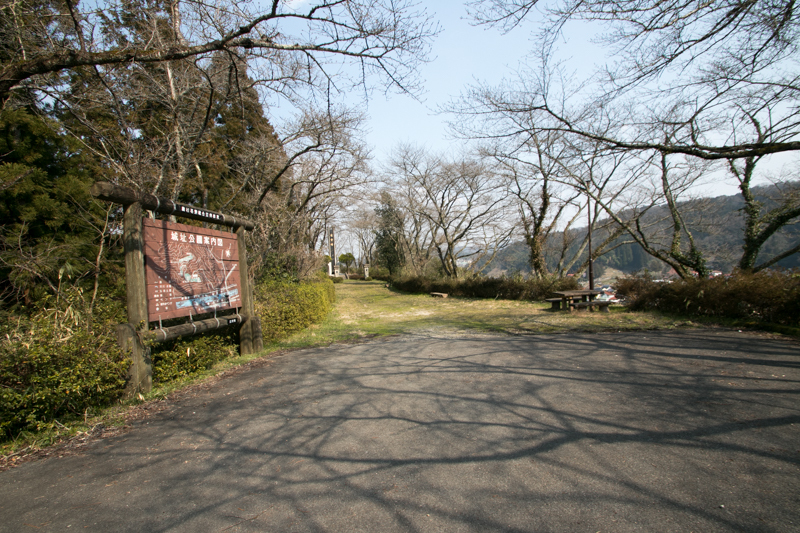 Hii-kawa river brought numerous floods but furnished ancient Izumo kingdom at this area. 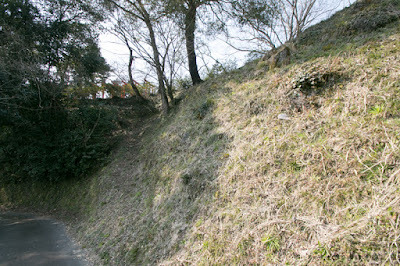 Upstream of Hii-kawa river provided rich iron sand, and steels manufactured by Tatara furnace became the source of kingdom. 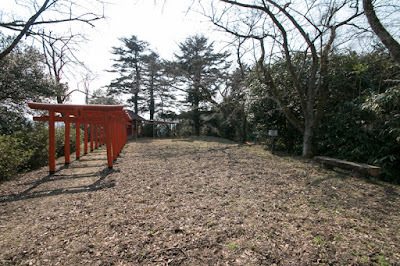 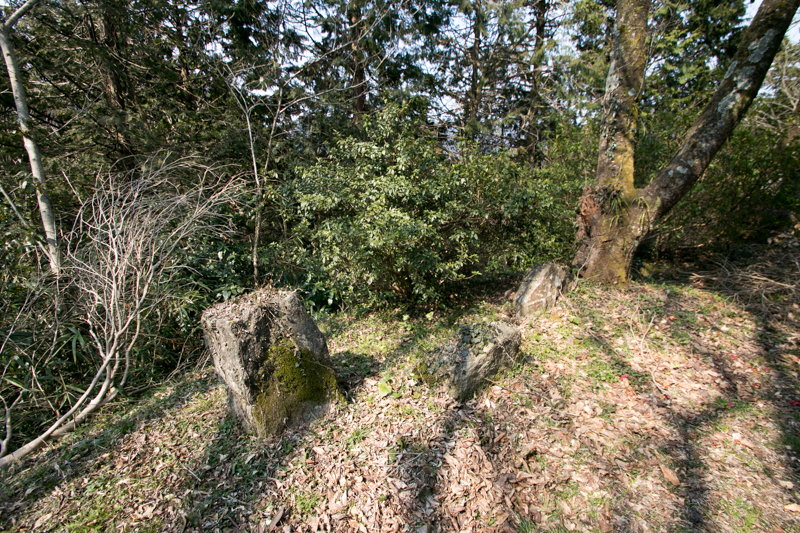 Later Izumo kingdom merged with Yamato dynasty, but Izumo area had a significant impact to the myth of Japan and Shinto region, such as Izumo Shrine. 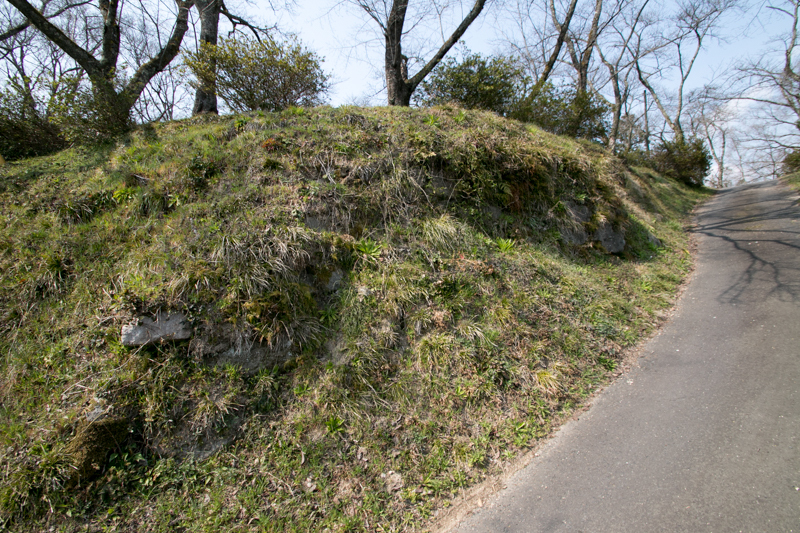 The origin of Mitoya castle is unknown but might be originally built by local lord Mitoya clan around 14th century, at first Jya-yama mountain at 1 kilometer north from current Mitoya castle. Mitoya clan was a descendant of Suwabe clan, a tributary of Minamato clan who resided at Shinano province (Nagano prefecture). 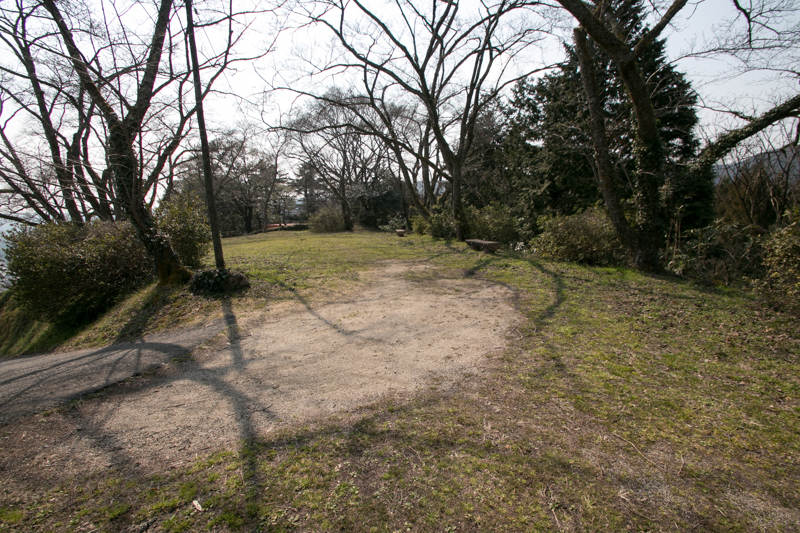 In 13th century, as a reward for activation at the battle of Jokyu between Kamakura Shogunate and Retired Emperor occurred in 1221, Suwabe clan achieved Mitoya area as their manor. 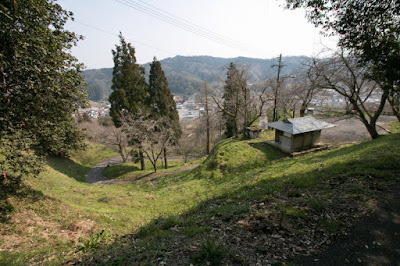 At first Suwabe clan managed their territory remotely, but later they moved to Mitoya area to make direct control, and also named as Mitoya clan. After the establishment of Muromachi Shogunate, Izumo province including Mitoya area became the territory of Kyogoku clan. Kyogoku clan was a descendant of Doyo Sasaki (1296-1373) who contributed to the establishment of Shogunate and was known as a Basara lord (picturesque lord) by his culture and challenge to the old authority. 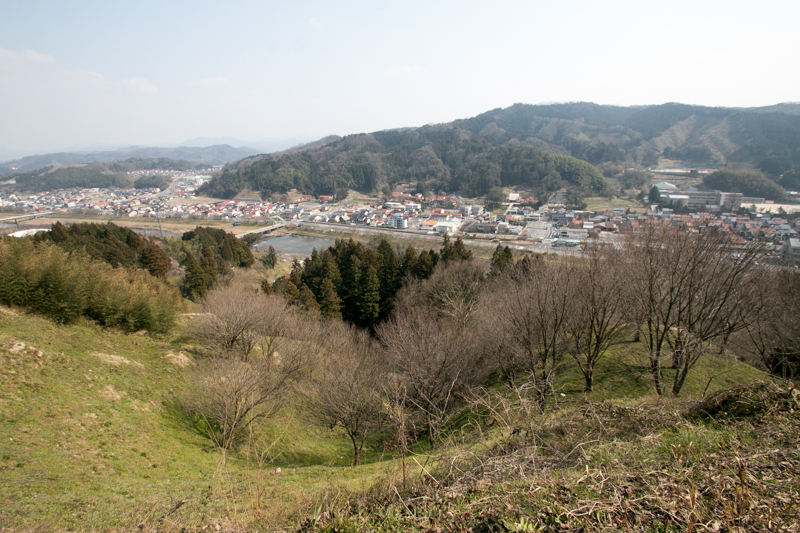 Kyogoku clan took their tributary Amago clan to Izumo province and appointed as the deputy governor. 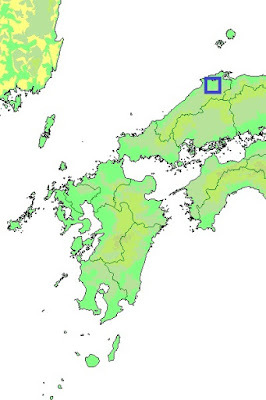 Kyogoku clan which lost most part of their territory at central area, but kept Izumo province as their main territory and prospered as one of the four high class retainer of Muromachi Shogunate. 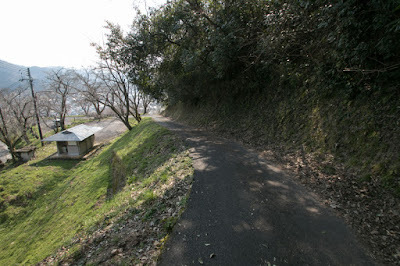 Mitoya clan served to Kyogoku clan and grew their power utilizing river transportation of Hii-kawa river. However, at the end of 15th century, Tsunehisa Amago (1458-1541) who was the deputy governor of Izumo province and was known as three intelligent lords of Chugoku region along with Motonari Mouri (1497-1571) and Naoie Ukita (1529-1582), tried to expel Kyogoku clan from the governor and seize the position by himself. 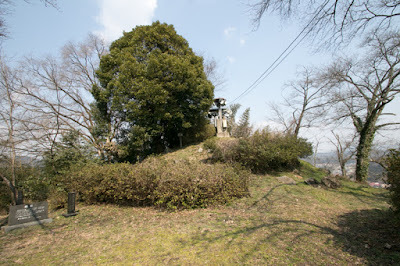 Tsunehisa Amago who captured the governor position was once expelled from his main base Gassan Toda castle (Shimane prefecture) facing the resistance of Kyogoku clan and local lord, but later Tsunehisa assaulted the castle and recovered the position. 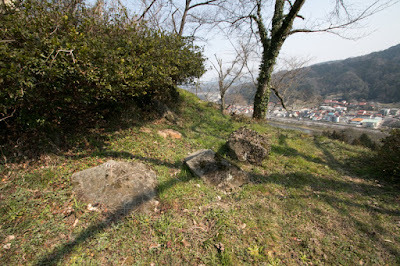 Later Tsunehisa coordinated with opponent local lord with pressure and marriage, and established his authority as the lord of Izumo province. However, as Gassan Toda castle, the main base of Amago clan located at the eastern edge of Izumo province, and Tsunehisa did not have strong his own army, Amago clan became a loose alliance of Amago family and strong lords at middle and western area of Izumo province. 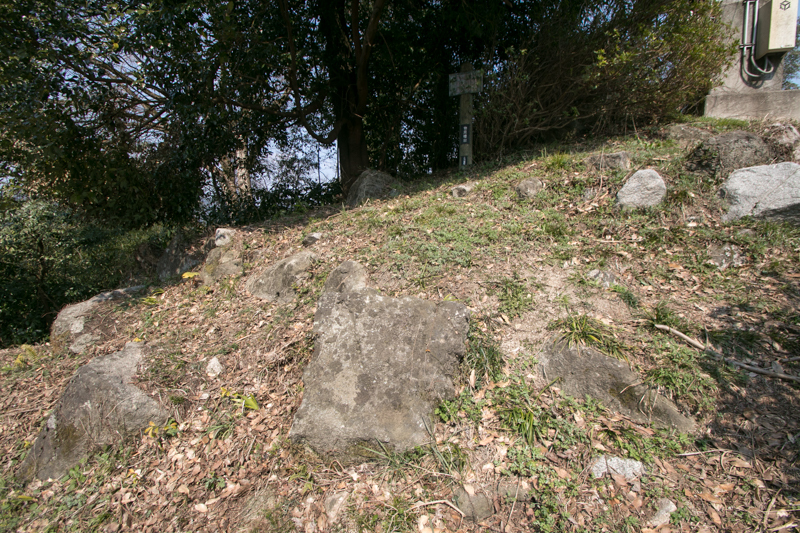 These strong lords were called as "Amago Jikki" (ten flags of Amago clan), which worked as main troops of Amago army, and their main base became defense line toward west. 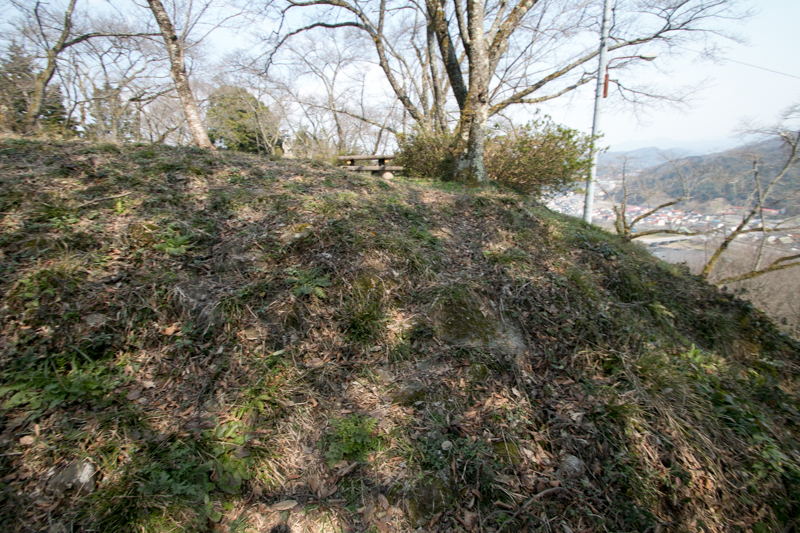 Among ten strong local lords, Mitoya clan was the largest and strongest one. 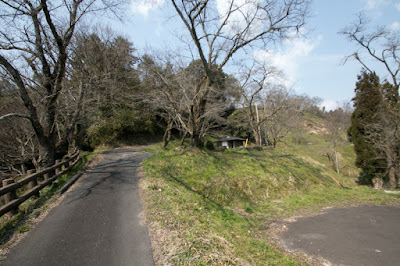 Around this time, Mitoya clan moved their main base from Jya-yama old castle to current castle, which was originally a branch castle of old castle but was suitable for the control of river transportation and latest combat. Mitoya castle spreads over eastern slope of Shiroyama mountain, which is a long and narrow one of about 400 meter long and 100 meter wide. 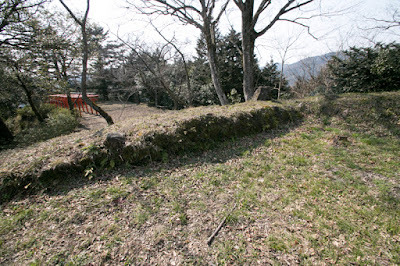 Central area is a rectangular shaped one of about 100 meter long and 30 meter wide, which has a small tip with the ruin of stone wall at east end. 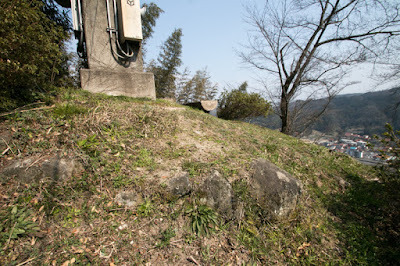 This small peak might be used as a basement of main tower. 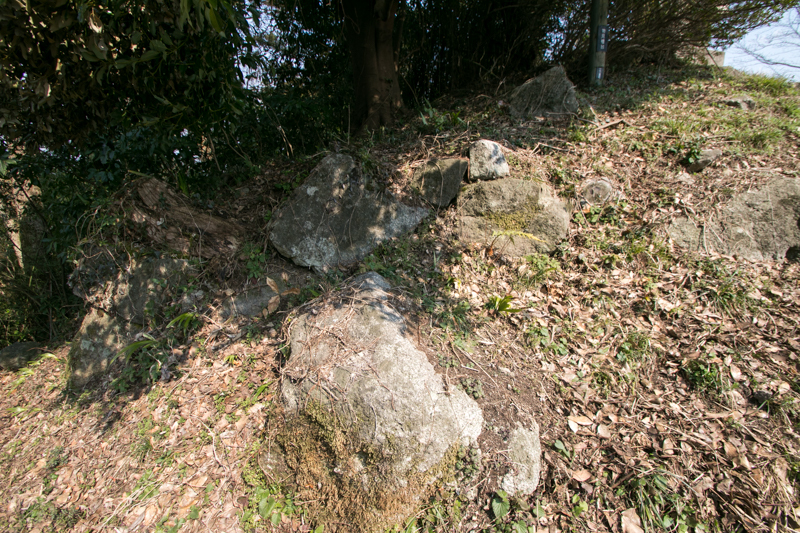 The western line of central area is separated by low line of stone wall from outer area which is currently used as a ground of shrine. At the center of south line there might be a main gate of the central area, which might be originally securely protected by stone walls. 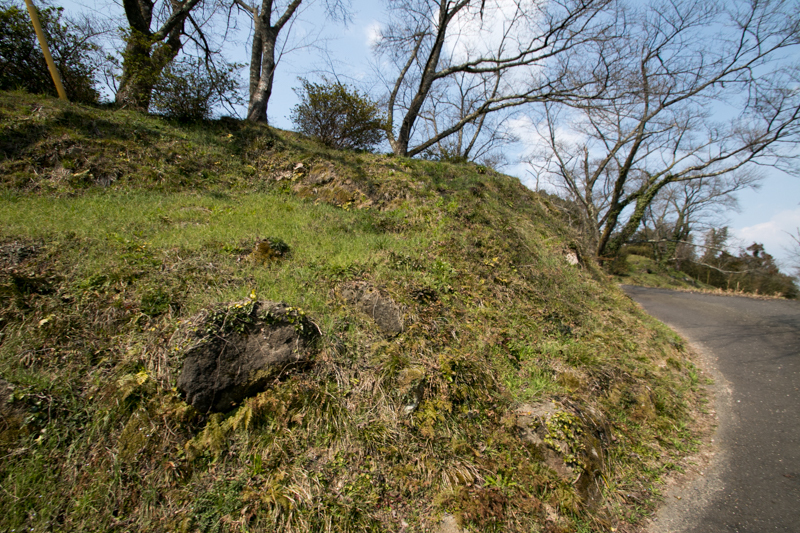 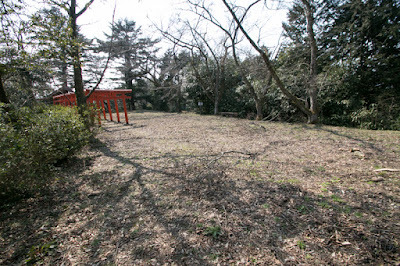 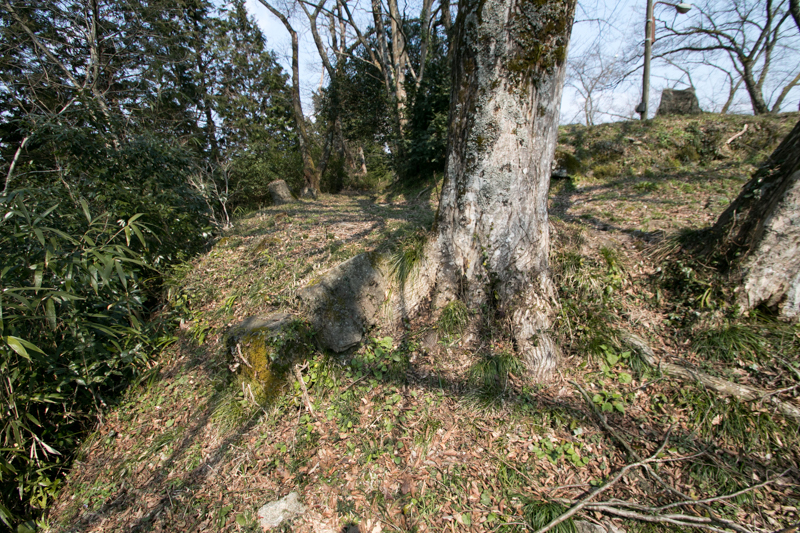 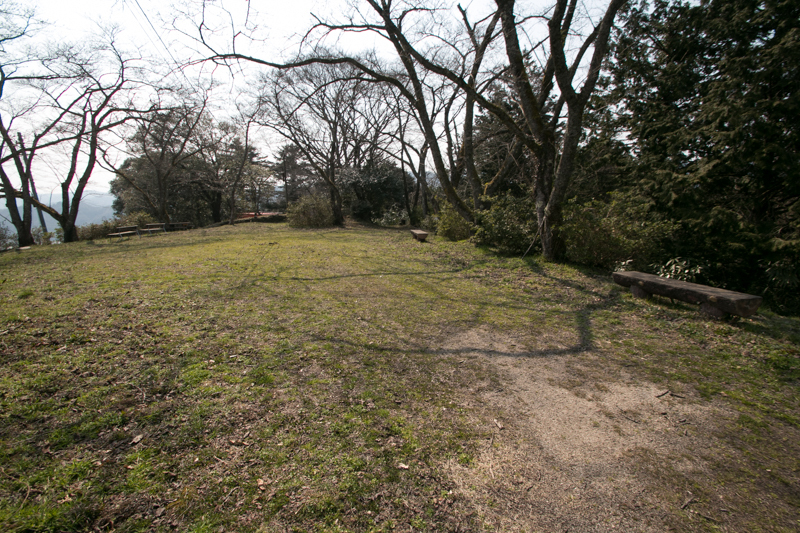 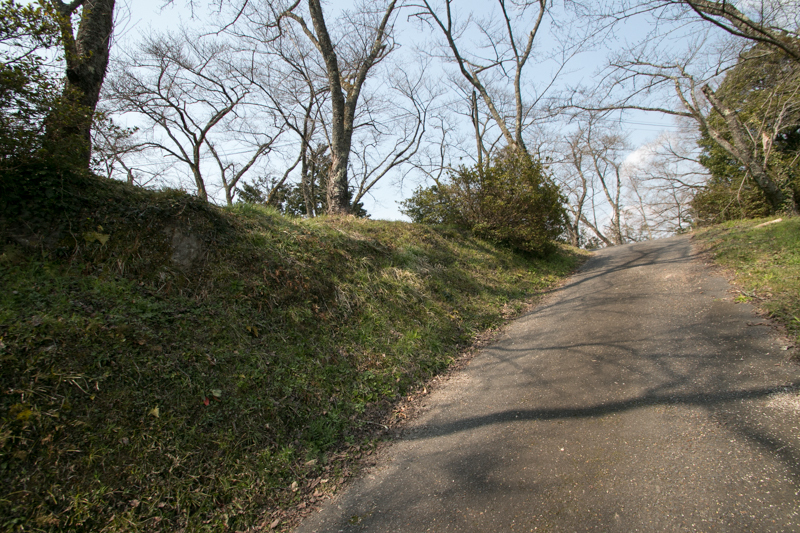 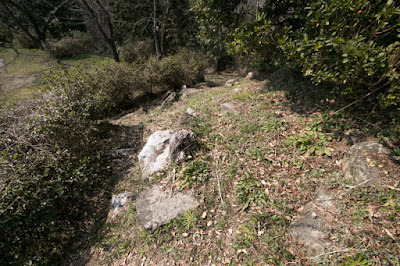 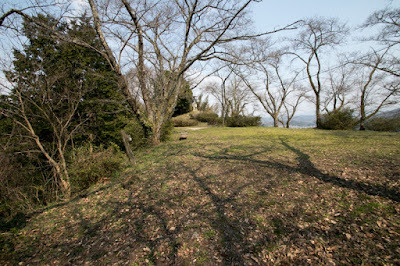 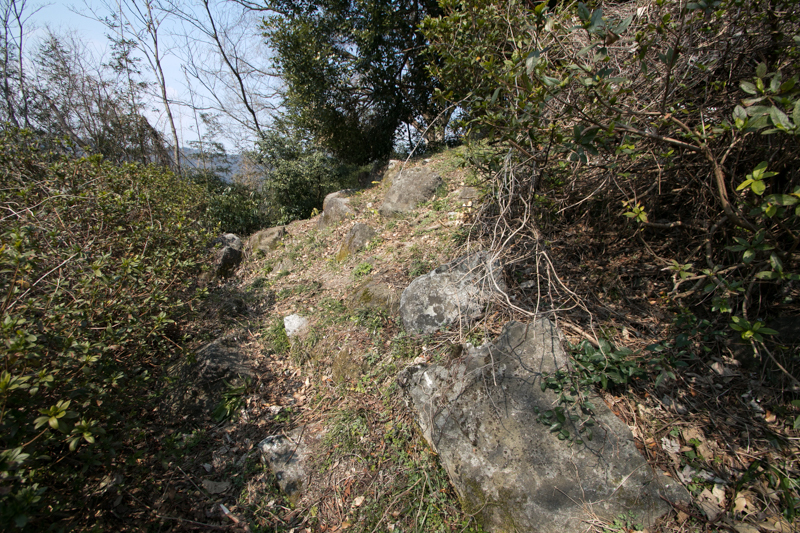 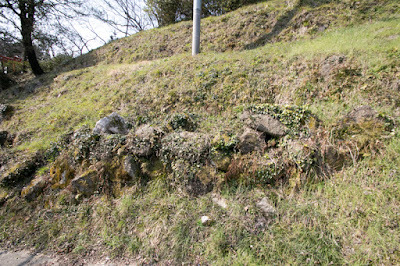 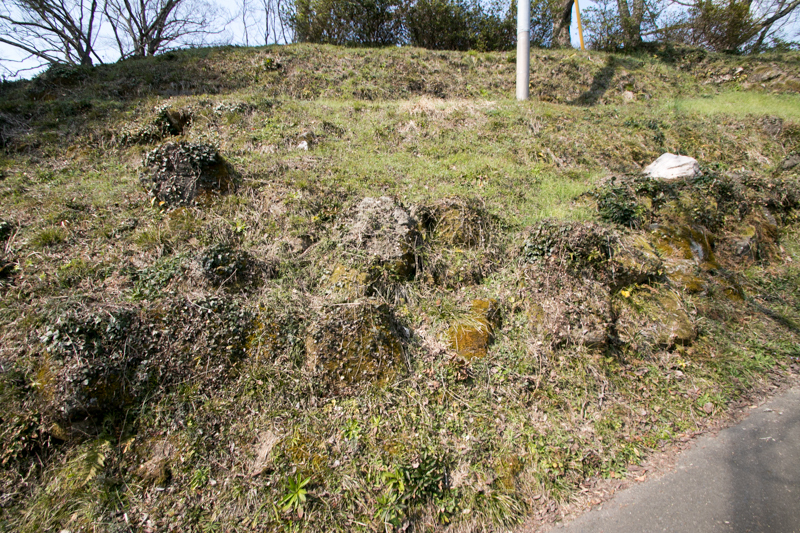 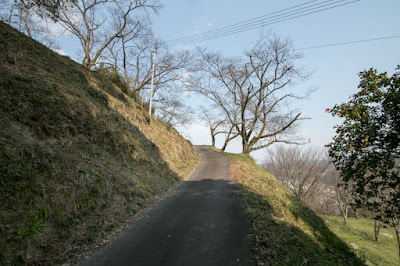 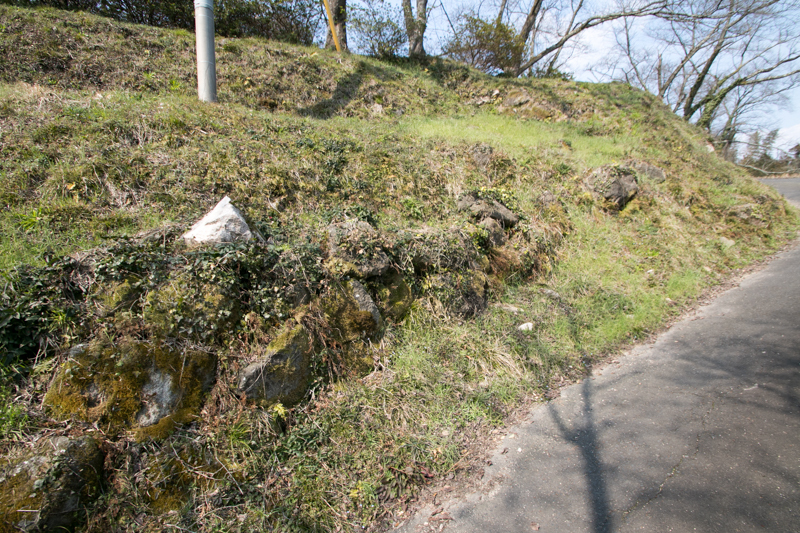 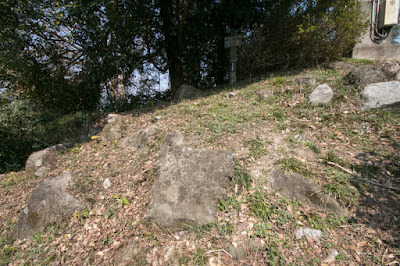 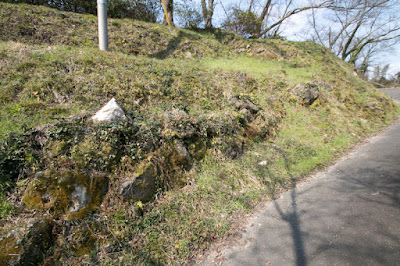 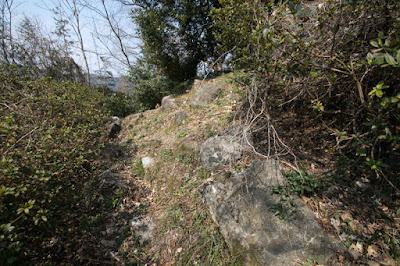 Considering later demolition and withdraw of stones as construction material, the central area might be wholly surrounded by stone walls, by the construction of Horio clan in 17th century. Main part of the castle spreads eastward as layers of terraces. 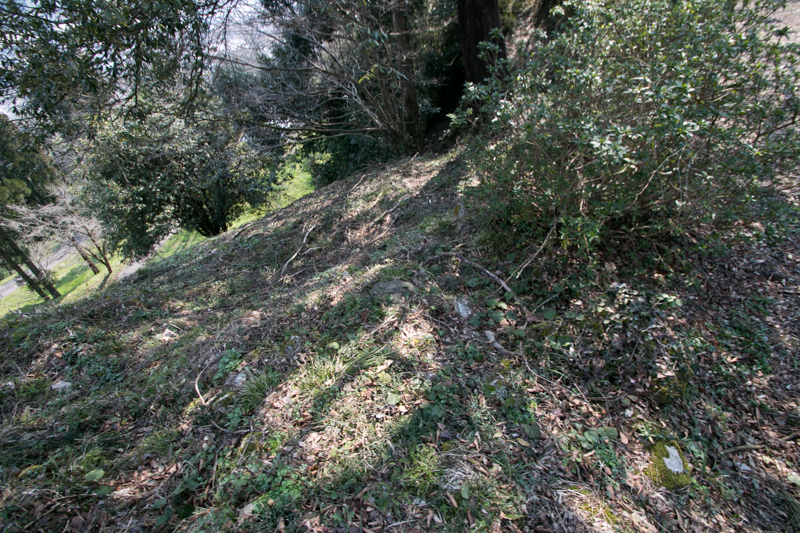 These terraces are now covered with bushes but there might be three or four large terraces from the halfway to hillside along with the ridge. 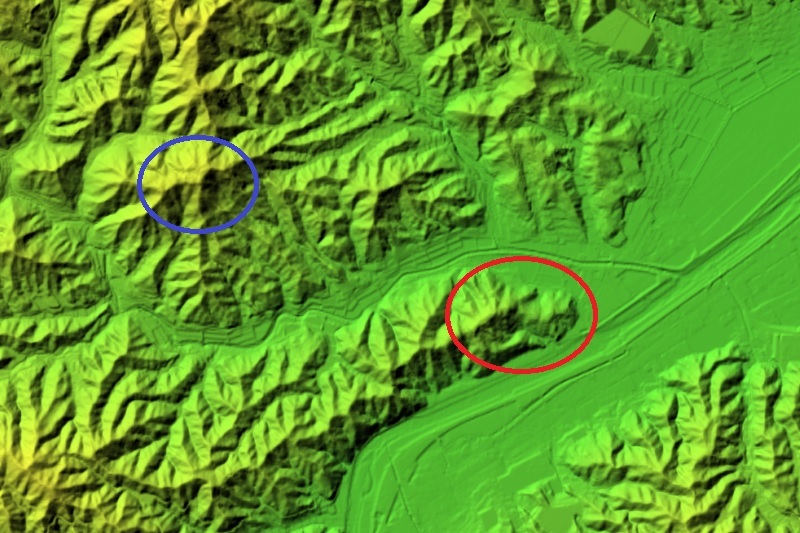 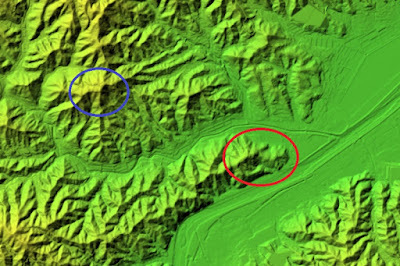 At the both side of these core part, numerous small terraces were built at the slopes, which might be a residence of retainers or storage place. 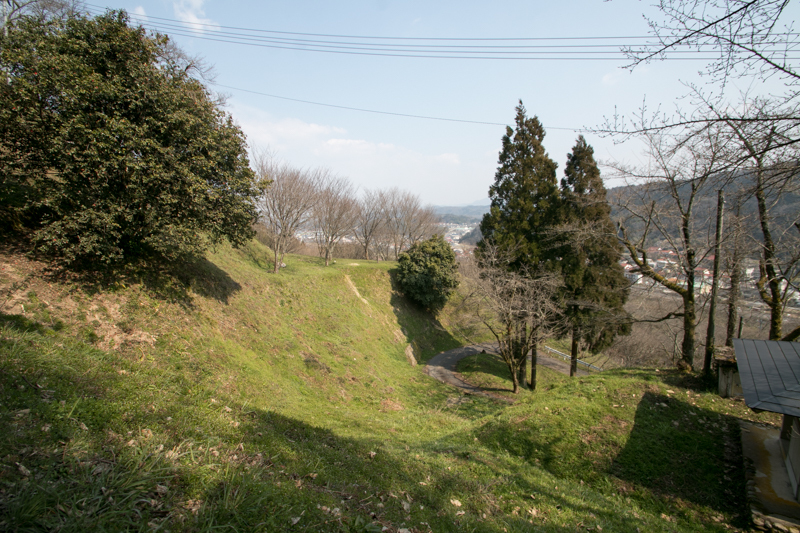 Total size of the castle is about 400 meter and 200 meter, and its size and construction is becoming to the first position of Amago ten flags. As the surrounding nation such as Hoki province (western part of Tottori prefecture) or Bingo province (eastern part of Hiroshima prefecture) lacked strong authority, Tsunehisa Amago aggressively assaulted these provinces and expanded their territory. 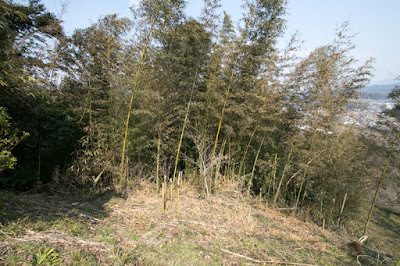 However, internal centralization of Amago clan was insufficient, and successors were lost by ill or rebellion. In 1540, Amago army siege Yoshida Koriyama castle (Hiroshima prefecture) which was the main base of Motonari Mouri who turned from Amago clan to Ouchi clan, the another strong warlord of Suo province (Yamaguchi prefecture). But Amago army could not fall the castle, and faced counterattack of reinforcement from Ouchi clan and suffered severe defeat. Due to defeat, the authority of Amago clan to its retainer significantly declined, and Tsunehisa Amago died in ill just after that. Looking at this situation Ouchi clan sent large army to Izumo province, and most part of local lords under Amago clan including Mitoya clan turned to Ouchi clan. Amago clan was forced into their main base Gassan Toda castle (Shimane prefecture) and got into desperate situation. 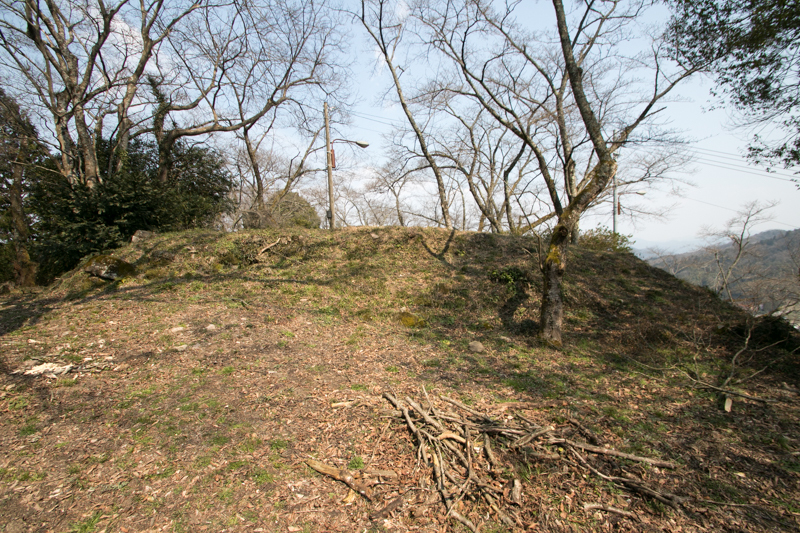 However, Gassan Toda castle was a huge and secure castle, and being supported by supplies from eastward, Amago army stood over three months. Looking a hard fight of Ouchi army and shortage of supplies, Mitoya clan and other local lords turned to Amago clan again. Ouchi army became inferior barely escaped from the chase of Amago army but suffered severe loss including the successor of Ouchi clan. Amago clan recovered as the strong warlord again under Haruhisa Amago (1514-1561). 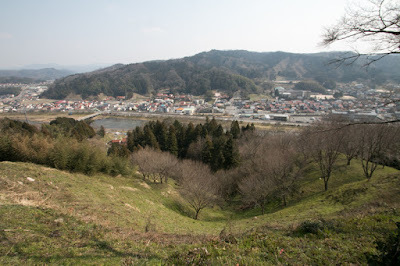 Utilizing the ruin of Ouchi clan, Haruhisa captured Iwami silver mine struggling with Mouri army, and internally tried to build up centralized power. 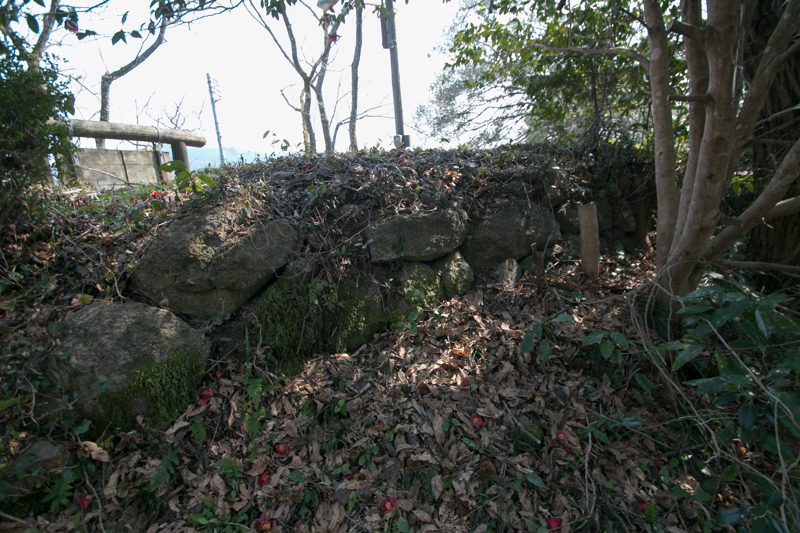 Haruhisa ruined Shingu army, the semi-independent military power of Amago clan, and advanced into Bizen province. However, facing the rise of Motonari Mouri, Haruhisa suddenly died and Amago clan lost its control over local lords. 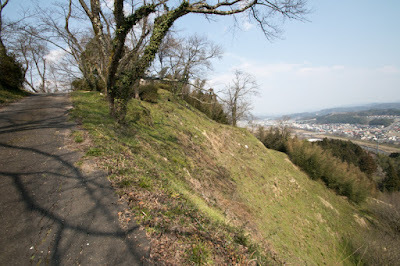 In 1562, major local lords under Amago clan such as Honjo clan or Mitoya clan turned to Mouri clan again, and Mouri clan marched into Izumo province and surrounded Gassan Toda castle. 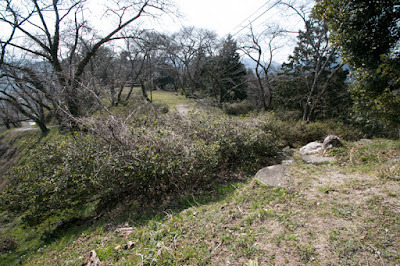 Considering former failure of Ouchi clan, Mouri clan this time prepared abundant supplies and totally shut the supply line of Gassan Toda castle. 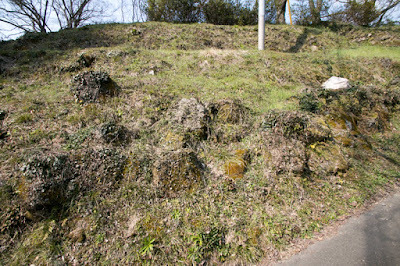 Furthermore, Mouri army purged Honjo army who was feared to turn to Amago clan again and tightly controlled local lords. After over one year siege, Amago clan opened the castle and surrendered, then ended its history as a warlord in 1567. 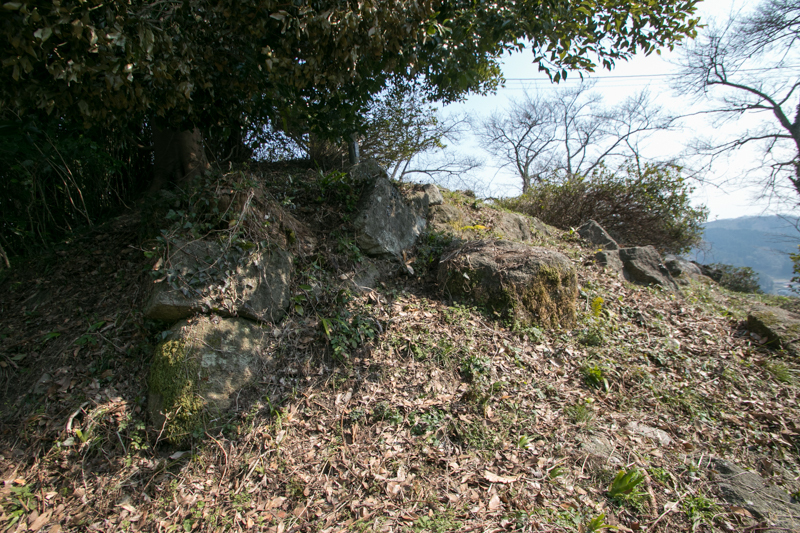 After the fall of Amago clan, former retainers of Amago clan lead by Yukimori Yamanaka (1545-1578) continued restoration battle of Amago clan for 10 year, and once recovered major part of Izumo province. 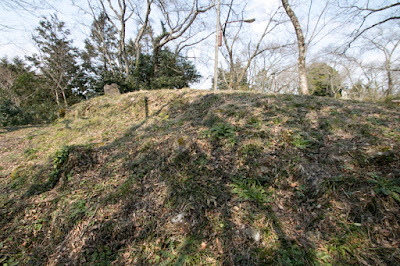 But Mitoya clan which became the retainer of Mouri clan declined to participate in this activity and firmly belonged to Mouri clan. However, in 1588, Mitoya clan was suddenly confiscated their territory by Mouri clan. 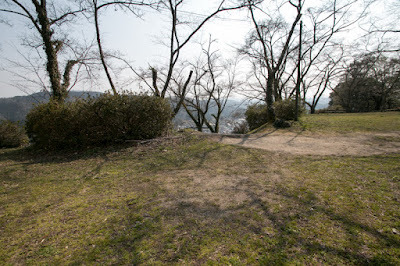 The reason was unapproved connection to Ieyasu Tokugawa (1543-1616), the founder of Edo Shogunate who was the large lord under Toyotomi government this time, but this was a false charge to seize Mitoya castle at an important point directly. Mitoya clan betrayed their lord faced betrayal of their master this time. 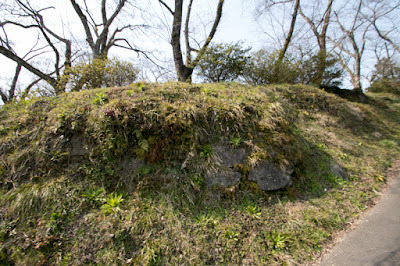 After the leave of Mitoya clan, Mouri clan held Mitoya castle. But after the battle of Sekigahara occurred in 1600, Mouri clan lost Izumo province then Horio clan was appointed as the feudal lord of Izumo province by Edo Shogunate. 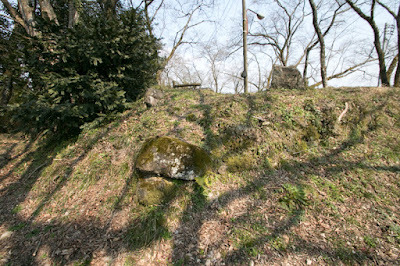 Horio clan once used Gassan Toda castle as their main base but seek their new main base. It is said that Horio clan at first thought to use Mitoya castle as its main base considering its geographical condition but ceased to do so and finally built Matsue castle (Shimane prefecture). If so, Mitoya castle itself was betrayed by their owner. Apart from the trustworthy of this story, Horio clan reformed Mitoya castle into a modern castle and used as a branch castle, along with Akana castle, Misawa castle and Gassan Toda castle. But in 1615, because of Ikkoku Ichijo Rei (one domain one castle rule) published at that year, Mitoya castle was abolished and ended its long history. 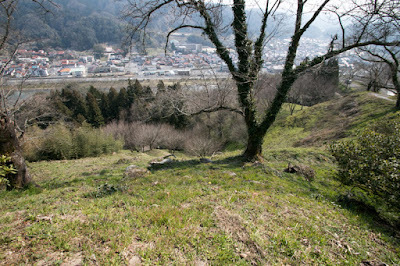 Now no building is left but terraces of hilltop area well remain on the hill, along with slightly remaining ruins of stone walls. 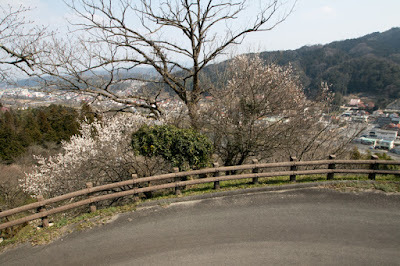 As the castle hill which shows the shape of terraces stands just at the next of the Mitoya-gawa river, in spring beautiful scenery of Shiroyama mountain covered by cherry blossom and blue river is seen. 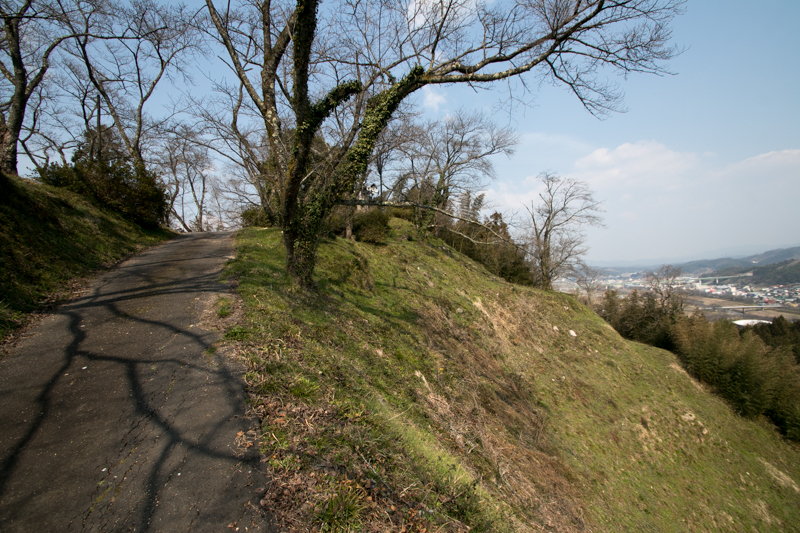 This scenery clearly shows the importance of Mitoya castle which also was the reason of its turbulent history. 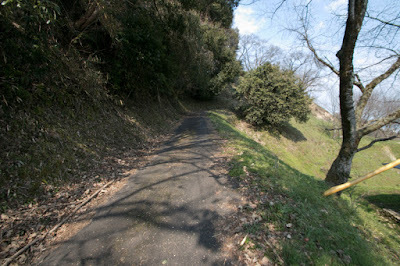 40 minutes walk from JR West Kisuki-sen line Kisuki station. 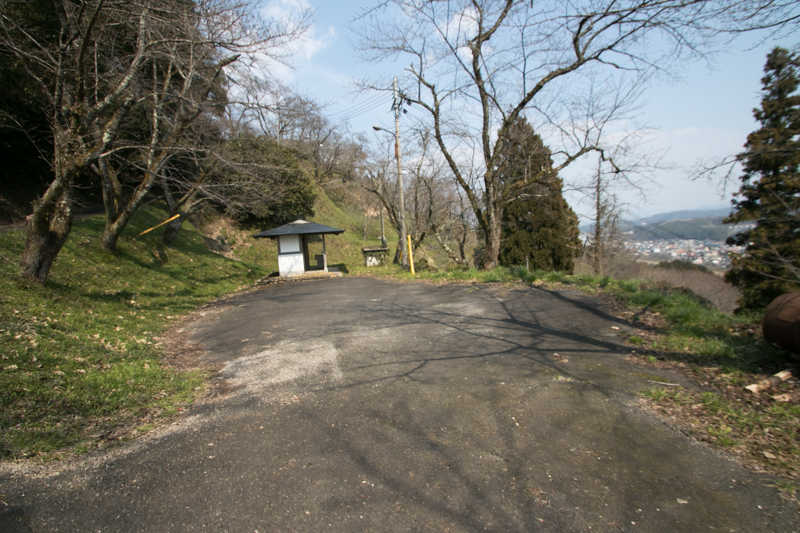 15 minutes drive from Matsue Jidoshado Expressway Mitoya-Kisuki interchange to halfway parking but be careful for narrow access road.